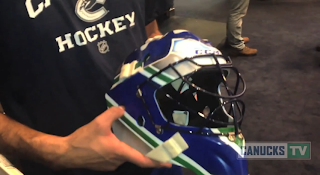 Check out the new video the Vancouver Canucks uploaded to their youtube page today. Roberto Luongo will be debuting some new face paint for the new season. Luongo gives us an exclusive look at his new mask that features Johnny Canucks.